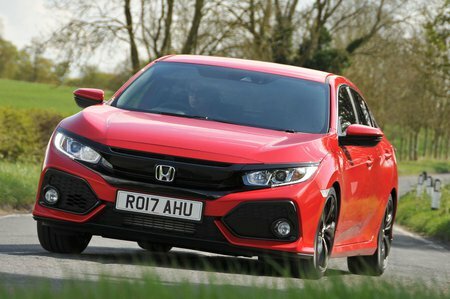 Honda Civic 1.5 VTEC Turbo Sport 5dr 2019 Review | What Car? What Car? will save you at least £2,566, but our approved dealers could save you even more. Sport is the cheapest trim available on the more powerful 1.5 petrol engine. It adds heated seats, a sporty bodykit, twin centre exhausts and LED headlights. The 1.5-litre engine is, unsurprisingly, faster than the 1.0 and has more low-down pulling power – although it doesn’t actually feel drastically quicker on the road. Given that it’s also quite a bit less efficient, we wouldn’t bother spending the extra.